This week in our wedding inspiration piece it is all about the perfect wedding guest outfit. 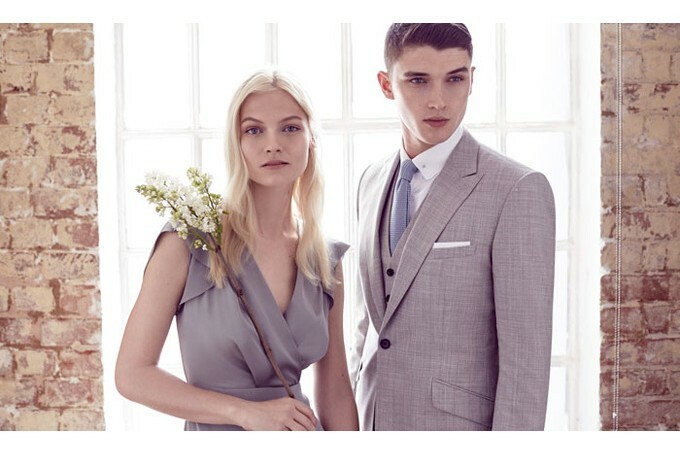 British high street favourite of mine Reiss have launched their first wedding shop. A destination to inspire “modern alternatives to guest dressing, bridesmaids outfits and mother of the bride looks, helping you to make it all the more pleasing to RSVP”. Without further ado, let’s get to the “I do” with my favourite picks from the Reiss Wedding Shop. 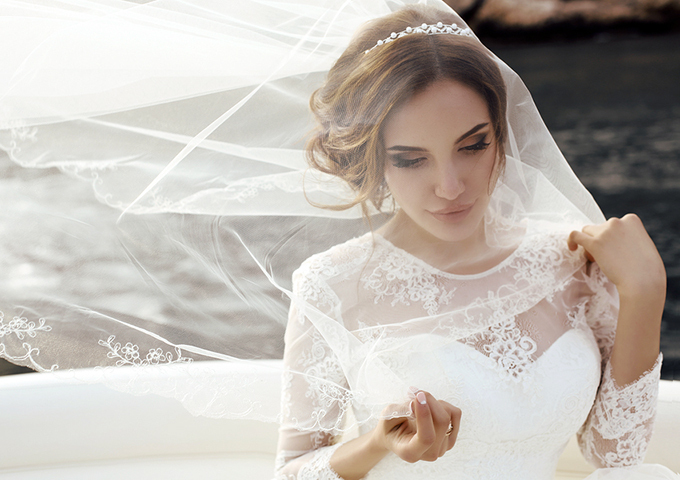 There are wedding suits, bridesmaid dresses and accessories to choose from. 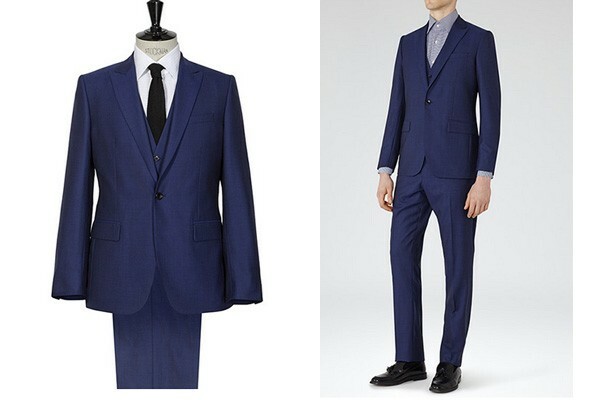 I do like a blue suit for a wedding. More for the groom actually than the guests as it’s a nice way to stand out from the crowd; especially if you don’t want to go down the morning suit route. But if you are going as a guest and thinking of this suit, just check with the groom first on the groomsparty colour code. You don’t want to accidentally become an usher! This is a beautiful dress if you are looking for a classic line, simple colour palette for your bridesmaids. An amaretto hue with a fine stitch detail trim, it’s a chic style that nips in the at the waist and can be accessorised with rose gold to style a classic french vintage style bridal party. It’s also available in a blue/grey hue, haze. 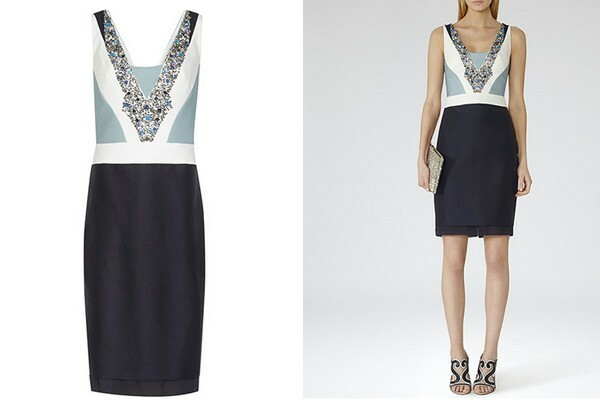 This black, white and smoke blue mixed tone dress is perfect as an evening guest outfit for a wedding. Suiting a city venue more than a country barn, the crystal and bead embellishment will add a touch of sparkle to your evening. The colour block panelling, v neck and contrasting black pencil skirt is definitely a winner for a cocktail dress code. 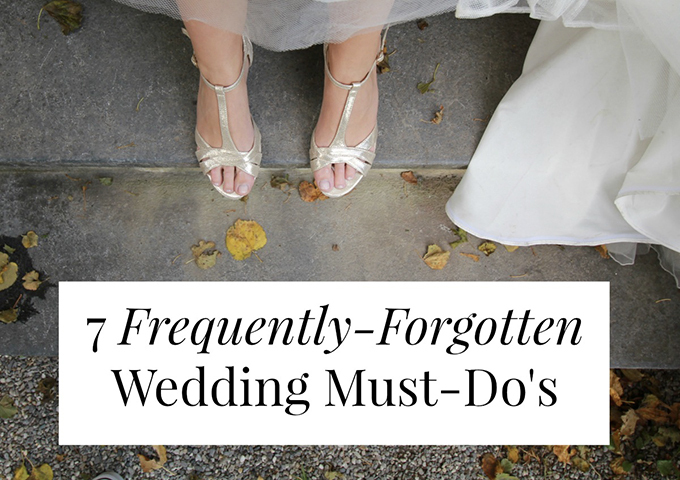 Are you attending a wedding this summer? What is your favourite in the Reiss Wedding Shop?